By Jeff Wallace (Facebook Page) - I remember the first time I saw the northern lights. It was sometime in the early 80s, a green glow on the horizon while traveling on a bus in northeast Minnesota. I think everyone was sleeping, but I couldn’t take my eyes away from the window. Since moving to central Alberta in 2009, I’ve been a regular aurora photographer and happy to share my approach to predicting the aurora for photography. From time to time, I’m asked if the auroras will be out, or when is the best season to see them. 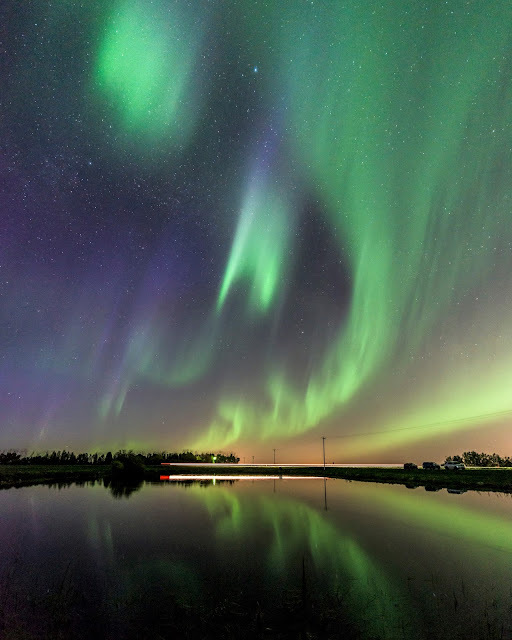 Outside the aurora chasing community, most are unaware that space weather is monitored continuously, and the auroras are more or less predictable now. Their appearance isn’t the random happenstance it once was.